So what exactly is the #TouristInMyTown Summer Challenge? Well it’s a challenge I created to inspire myself and others to take advantage of the abundant tourism that’s right in our own back yard. I’m always intrigued whenever I meet people from other parts of the country and globe that have experienced and know more about my city than I do. I mean, how exactly does this happen? How is that John has been to Navy Pier more than I have and he lives in Seattle? Well, I have a theory. Just like a relationship, we get complacent. The attractions we have access to will always be there, so we take them for granted. In the early 90’s my family and I relocated from the burbs to Hyde Park. If you’re not familiar with Chicago, Hyde Park sits along the lakefront and houses the prestigious University of Chicago and Museum of Science and Industry. And it is also home of our current First Family. Although it’s changed a lot over the years, there has always been great beauty and a lot of history there. Growing up as a suburbanite, moving to Hyde Park was a welcome change for me. I was so excited to be taking the plunge into city life. I mean, who wouldn’t be excited living on the 22nd floor with a panoramic view of the lake. I couldn’t wait to stroll on the lake with the rest of the joggers and bikers. Well, after my few times, my enthusiasm died down. After my first year, I can count on one hand how many times I went back over the 12 years that followed. And the Museum of Science and Industry? I didn’t go at all. It was walking distance from my apartment building SMH! Truth be told, I really haven’t gone to any museums or zoos since my high school years. And the last time I went to the Sears Tower (I’m a native Chicagoan, it will NEVER be the Willis Tower) was for a job interview. Why didn’t I check out the new Skydeck? I didn’t even get the job, so it would have at least made the trip worth my while. A second theory I believe keeps us complacent is the “work factor”. Many of us live in the suburbs and work in the city. When we have our freedom on the weekends, the last thing we want to do is travel back to where we work. We commute in, do our work, and leave. Meanwhile, the tourists are having a field day taking advantage of every awesome experience we take for granted. While we’re running to catch that last train back to the burbs, they’re passing us by on their Segway tour. I want to inspire people to venture outside of the comforts of their own neighbor for leisure rather than work, school, or a doctor’s appointment. Everyone isn’t in the position to quit their jobs to globetrot and island hop every weekend. Everyone doesn’t have the financial resources or even available time off to travel. Some people even have trouble getting passports. But EVERYONE can take advantage of the tourism opportunities right in their back yard. Museums/Landmarks/Tours: Check out the museum or landmark you haven’t visited since childhood. Try going for pure leisure, instead of going because you have to chaperone on a field trip. Does your city offer a walking or bus tour? Try one. You’ll be surprised at what you might learn. Ferris Buller Day: Remember the 80’s classic Ferris Bueller’s Day off (I know, I’m telling my age)? While I would never advocate anyone jeopardizing their job, you can play hooky from work and spend the day in your city sightseeing. Just don’t go near your workplace LOL! Day Trip: Find a destination a couple of hours away from your city and plan a full day trip. Is there a winery or beach you’ve always wanted to visit? Is there an activity you’ve wanted to try, like kayaking or hiking, but never made time for it? The possibilities are endless with a day trip. It is my sincere hope that this challenge will give us a new appreciation for where we live and what we take for granted. The news reminds us daily of what’s wrong with our city. Let’s show the world what’s “right” with it. There is so much history and beauty right in our backyard. You can start anytime you want over the summer. Rep your city and don’t forget the #TouristInMyTown hashtag in your social media pics. Let’s go!!! I’m going to be transparent. I’m just gonna come out and say it. I HATE this routine. Don’t get me wrong, I’m very grateful with the blessings life has afforded me. For example, I have a stable career and my health is decent. I have an awesome family that loves me unconditionally and I look ten years younger than my stated age (okay, maybe about five). And professionally, I’ve accomplished most of things I set out to do. But a significant part of me hates the redundancy of the American rat race: getting up at the crack of dawn, fighting my way through morning rush hour traffic, doing work that does not inspire me or feed my soul, fighting my way through evening rush hour traffic again, only to return home and rinse/repeat and do it all over again. It’s safe and secure, but it’s also slow death. You see, like many before me, I thought the recipe for lifelong happiness was this: 1.) Go to college, 2.) Start a career that pays well, 3.) Get married, 4.) Buy a house, 5.) Buy a luxury car, 6.) Have kids, 7.) Get a dog, 8.) Add water and stir, 9.) Live happily ever after…you know, like the Cosby Show. That’s the blueprint that was ingrained in me since debuting from my mother’s womb in 1985 (yes, so what…I’m lying). The blueprint always sounded promising. But the blueprint never addressed that someday your career might eventually leave you stagnant and unfulfilled. The blueprint never mentioned that the marriage might fail and the children may never come. It never mentioned that in spite of following your life plan to the letter, you might be left confused, without passion, and have to find your purpose and reinvent yourself all over again. The blueprint never provided a disclaimer that sometimes things just change. I’m sure you’re thinking, what the hell does this have to do with travel? Well, just keep reading…. A few years ago, like most black first timers, I earned my first passport stamp during my travels to the Dominican. 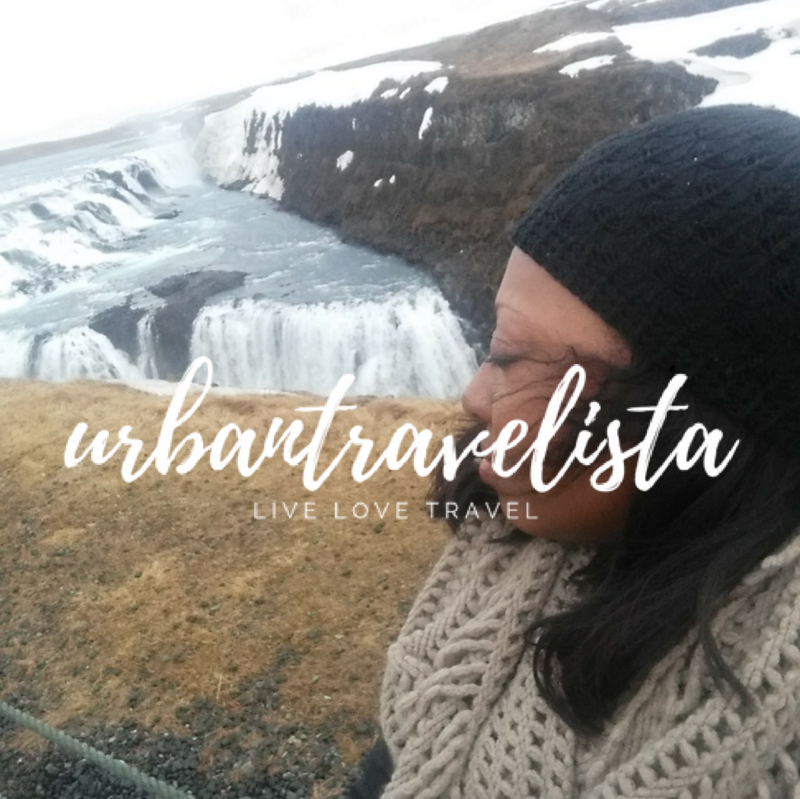 I was going through a major life transition at the time and traveling abroad was something I finally decided to make priority for myself, especially after putting it off for so many years. Looking back, I guess one could say this was the moment my travel bug was born. While my first experience traveling abroad offered many high moments, the most memorable aspect of my trip, will always be the excursion I had with Mike Punta Cana Adventures. While planning, I came across his reality tour company on TripAdvisor. The reviews were stellar and his tour allowed you to immerse yourself into Dominican life as a local. Basically you get to be Dominican for a day. The first leg of our tour was a stop at a Dominican elementary school. At the time of booking, tourists were requested bring school supplies (strictly optional). The smiles on those kids faces when they received their protractors, compasses, notebooks, and markers will forever be etched in my memories. They were so grateful…so grateful to have access to the basic conveniences we take for granted here in America. I wanted to pack each and every one of them in my luggage and bring them home. They were too adorable!!! Our next stop was cigar shop where we learned how to roll cigars and played dominoes with the locals. Sadly, I lost. Dominoes have never been my thing, but had we played spades, it would’ve been on. As promised, the tour was very interactive and gave us a raw and unfiltered look at Dominican culture. On the way back to our respective resorts, Mike shared his testimony of how this amazing tour company came to be. Mike was a middle aged guy from Canada and lived a pretty comfortable and stable life. His marriage failed and he never had any children. In spite of having a stable career that compensated him very well, he felt unfulfilled. His life had become redundant and routine. He felt like a hamster on wheel, like he merely existed. Hmmm, But instead of accepting the cards he had been dealt, Mike did what so many of us “walking dead” don’t: He stepped outside of his comfort zone and embraced the unknown. Against the advice of his well-meaning loved ones, he cashed out his savings and quit his job. After running out of money and experiencing several “this was the dumbest decision ever” moments, fate and lead him to the Dominican. Over time, Mike dedicated himself to learning as much about Dominican culture as he possibly could and established strong relationships with many of the locals. Shortly later, Mike’s Punta Cana Adventures was born. Today, Mike’s tour company consistently ranks as the number one excursion in Punta Cana and has done so for years. And what I admire most about him was that it was never about the money. He uses his tour company as a vehicle to give back to the locals, particularly the children. This is what gives him purpose and feeds his soul. He’s living his dream. Upon departure, he stated that his motto was although he was unable to help the entire world, he could help a tiny piece of it. And in addition to birthing his successful tour company, he eventually met his second wife and at the time of my tour, they were expecting their first child. So back to my original point: You see, travel can be much more than just rest, relaxation, bottomless margaritas, and flossing for Facebook and Instagram. If you’re open to the experience, it can be an opportunity to learn and grow. In addition to meeting other people, travel can allow you the opportunity to meet “yourself” through your interactions with other people. I felt like I met myself through Mike on that tour. Here I was meeting the same crossroads that he overcame. He walked it. He lived it. He overcame it. That encounter was more valuable than any of the Dominican rum, cigars, and other souvenirs I brought home. However, here I am a few years later still kind of clinging to safety. Inspiration is useless if it’s never put into action. How long will many of us continue to not act on inspiration and not move beyond an unfulfilled life? Now I’m not saying one needs to quit their job and move to another country with no plan in sight in order to seek fulfillment. But I believe we were put on this earth to live our best life and not simply exist in it. I also believe there are no coincidences. We draw the teachers and guides in our lives at the time we need them. Mike was one of my teachers and I will always be grateful for that experience.